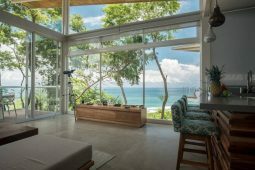 Maramar is the only private gated community of luxury single-family homes overlooking the Pacific Ocean and surrounded by Pochote forest in Santa Teresa. 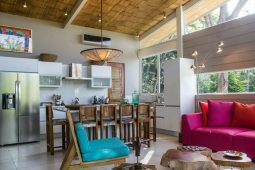 Ecologically-friendly vacation homes are artfully designed by internationally renowned architectural firm Joartisti & Barascout. Our privileged location (50 m north of La Lora) puts you within walking distance to the best surfing and the finest restaurants in the area. YES, YOU CAN FIND HEAVEN ON EARTH. 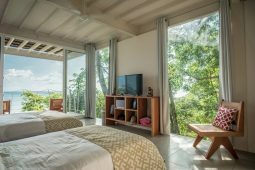 Discover Maramar, an exclusive, private, gated eco-community surrounded by the angelic beauty of sunny Santa Teresa Beach in Costa Rica. 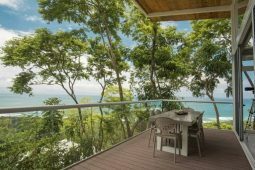 For those who love nature and luxury, our spectacular location above Santa Teresa’s most beautiful beach affords you fabulous ocean views amid lush green forest while being steps from the sand and best surf. 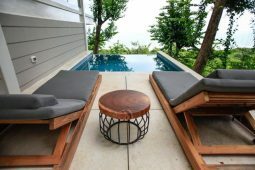 Invest in a modern, multi-story luxury vacation home to safely enjoy with your family and friends during your holidays. Rent it out when you’re not here – we’ll take care of everything for you. ARTICLE PUBLISHED ABOUT MARAMAR IN “LANDINGS” MAGAZINE. Maramar, is the only gated community with luxury houses, located in the heart of Santa Teresa. The main goal for the developers of marAmar is to build houses with the maximum respect for nature. 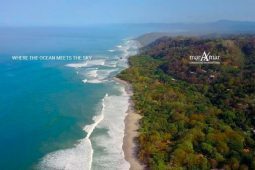 marAmar is well known for preserving its private natural reserve and forest, collecting rain water and use it for irrigation, supports Santa Teresa’s recycling program and is a Gold Member of Nicoya Peninsula Water Keepers & Life Guards. Joaristi & Barascout, the highly awarded architects of the firm, design the houses with anti seismic structures, laying the houses on the nature, without doing cuts on the ground, so the houses move along with the natural movements of the earth, avoiding land slides and without changing the natural course of the water. The internationally renowned Aimee Joaristi is in charge of designing the interiors of the houses. Aimee is inspired by the colors of the nature in marAmar, she works with di erent tones of blues and greens to extend visually the turquois of the ocean and the green of the treetops, melting exterior with interior nishing in the horizon of the ocean. Rodrigo Altmann & Asociados S.A. is the construction company in charge of building the new houses now under construction. It was chosen because of its excellent performance regarding: delivery in time, safety of the workers, efficiency in costs and quality of the materials. They deliver in every project a proactive service based on the maximum ethical standards, differentiating with high-perceived value from its competitors. MARAMAR COMUNIDAD ECOMARITIMA is the only gated community with luxury houses with 24×7 security, located in the heart of Santa Teresa. It’s privileged location, walking distance to the best surf spot La Lora and best restaurants in town, makes it very convenient. marAmar offers key in hand solution, from building and decorating the villas for the owners to concierge service for their clients so they feel they rent a house with all the comfort of a hotel. 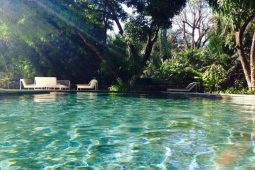 The concierge handles all the rentals, private yoga lessons, private surf lessons, private massages and coordinate many other fun activities to do in Santa Teresa. marAmar have open lots for sale, lots are sold with built houses. Houses are Taylor made and the clients can choose if they want marAmar to furnish them also. When clients choose marAmar to build their house, they can rest in peace because they are in the best hands. The internationally renowned Aimee Joaristi is in charge of designing the interiors of the houses. Aimee is inspired by the nature in marAmar, she works with different tones of blue and green to extend visually the turquois of the ocean and the green of the treetops, melting exterior with interior finishing in the horizon of the ocean. 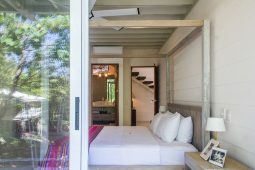 RODRIGO ALTMANN & ASOCIADOS SA is the construction company selected to build the houses, because of its excellent performance regarding: delivery in time, safety of the workers, efficiency in costs and quality of the materials. They deliver in every project a proactive service, based on the maximum ethical standards, differentiating with high-perceived value from its competitors. Clients that bought units in marAmar a couple of years ago, already double figures when they sold the unit. Most owners don’t want to sell their unit because they fall in love with marAmar but for those who needed to sell to do a cash out, marAmar gave back a large profit. Some owners sell old units to go high up in marAmar and buy a unit with a better view.